FuturaGene, a biotechnology firm owned by Brazilian pulp and paper company Suzano, has requested authorization from the Brazilian Biosafety Commission (CTNBio) for the commercial release of its genetically engineered eucalyptus trees in Brazil. A letter has been issued by Brazilian and Latin American organizations (including CEPEDES; Terra de Direitos and the Latin American Network against Plantations) to CTNBio to urge them to deny this approval. As the Brazilian Open Letter (attached below) explains, if approved, use of GE eucalyptus trees will aggravate the already well-known negative impacts that non-GE industrial eucalyptus tree plantations already pose to communities´ livelihoods. We ask your organization to sign on to the statement below in support of this Brazilian letter, which will be sent to CTNBio, the Brazilian governmental institution in charge of authorizing the release of GMOs. Their letter expresses deep concern and urges the CTNBio not to authorize the commercial release of GE eucalyptus by Suzano/FuturaGene. To sign on in support of this letter protesting the legalization of genetically engineered trees, please send us your name, organization and country to the following address globalecology@gmavt.net before June 15th. 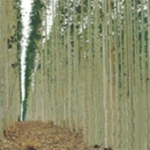 The Campaign to Stop GE Trees, an international coalition of 248 groups from 49 countries, founded in 2004, supports a global ban on commercial deregulation of genetically engineered trees (also known as genetically modified trees) based on serious concerns about their impacts on biodiversity and human rights. The Campaign supports the position expressed herein, in solidarity with Brazilian and Latin American groups, calling upon CTNBio to pay heed to public resistance to GE trees and reject Futuragene’s request for commercial approval of GE trees. The Campaign is joined by the undersigned organizations from around the world that endorse the call for a global ban on the release of genetically engineered trees into the environment, as well as those scientists and organizations that are calling for a moratorium on the release of GE trees until they are proven to have no damaging social or ecological impacts. As no such proof of safety currently exists, but there is significant evidence to the contrary, the release of GE trees must be stopped. It is, for example, well-documented that increasing the growth rates of plantation trees (as Suzano has done with their GE eucalyptus trees) results in the rapid expansion of plantations, not the opposite. According to the UN Food and Agriculture Organization between the years 1990 and 2010, the average yield of wood from plantations doubled, yet the amount of land occupied by those plantations increased over 60% from 97 million to 153 million hectares. 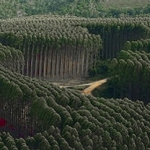 Additionally, in 2008, the UN Convention on Biological Diversity, to which Brazil is a signatory, called for the application of the Precautionary Approach regarding GE trees, and a comprehensive and transparent assessment of their long-term social and ecological risks prior to any open release into the environment. If CTN Bio approves the commercialization of the GE eucalyptus in question, this decision would directly contravene decision IX/5(1) of the UN Convention on Biological Diversity. We therefore support the call to CTNBio and the Brazilian government made by Brazilian and Latin American groups to reject the application of Futuragene to commercially plant genetically engineered eucalyptus trees.